Legendary actor Christopher Lee, who has starred in almost 300 movies, including "The Lord Of The Rings", "Star Wars", "The Man With The Golden Gun", "Dracula", "The Wicker Man" and most recently "The Hobbit", surprises yet again by entering the Billboard Hot Singles Sales chart at No. 22 with his heavy metal take on the classic "Jingle Bells", appropriately titled "Jingle Hell". 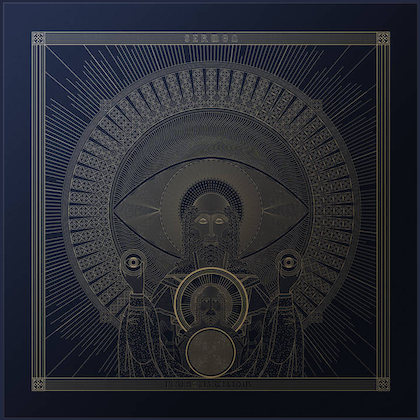 The song forms part of the single release "A Heavy Metal Christmas Too". B-side includes the song "My Way", which Lee certainly did "his way." Upon being informed of the Billboard Hot Singles Sales chart entry while on a Christmas break from his latest project, Sir Christopher said: "Wonderful news. I want to thank everyone involved, especially the fans. I have spent my career surprising people, so here is to the next one!" "Jingle Hell" is a playful take on "Jingle Bells", in which Lee sings with the classically trained soprano Li Li. 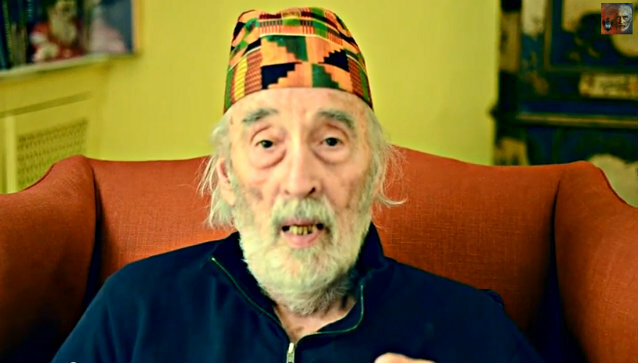 In a video message to his fans and while wearing a colorful hat in memory of the late Vincent Price, Sir Christopher said, "I sing another version, it's a bit more naughty. It's not bad, I mean bad in the sense of unpleasant. It's entertaining, it's certainly different." The second song, "My Way" is not a Christmas song. The vocals were recorded back in 2006 for a cover version of the song made famous by Frank Sinatra and remixed specially for this single. "I was 84 years old when I sang it and my voice was higher than it is now," Lee said. 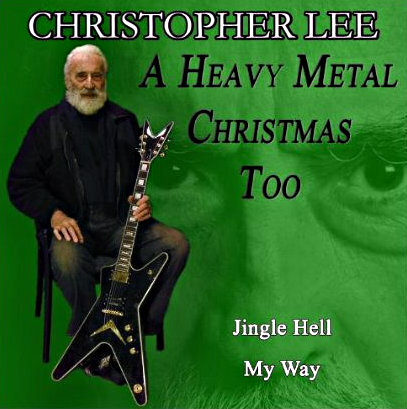 In Christmas 2012, Lee released the single "A Heavy Metal Christmas" which included the songs "The Little Drummer Boy" and "Silent Night". In May 2013, at 91 years old, Sir Christopher became the oldest heavy metal performer in history by releasing the concept album "Charlemagne: The Omens Of Death". Christopher Lee was already the oldest heavy metal performer and now becomes the oldest living performer to enter the music charts. The record was previously held by Tony Bennett, who was 85 when he recorded "Body And Soul" with Amy Winehouse in March 2011. Sir Christopher, who was born on May 27, 1922, was 91 years and 6 months old when he recorded "Jingle Hell". Lee is known to younger generations for playing Saruman in "The Lord Of The Rings" and "The Hobbit". He also starred as the villainous Count Dooku in the "Star Wars" prequel trilogy. Older generations will remember him for his iconic portrayals of Dracula, Scaramaga in "The Man With The Golden Gun" and Lord Summerisle in "The Wicker Man". The new single is available through iTunes, Amazon and Google Play.